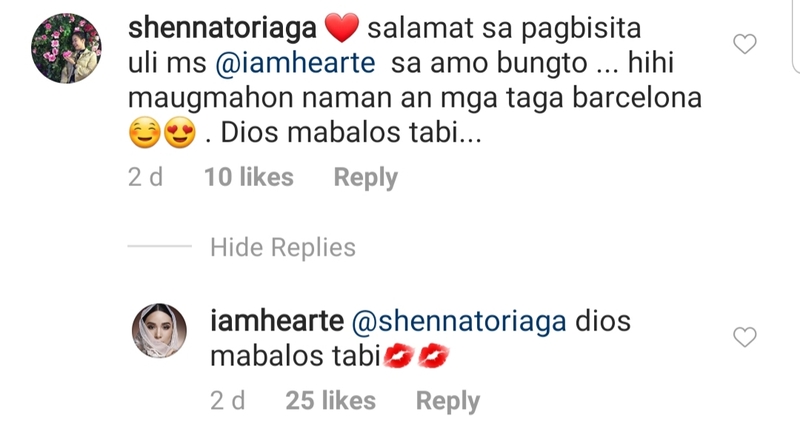 A few days ago, Heart Evangelista was in Sorsogon to join the campaign rounds of husband Senator Chiz Escudero, who is vying for the gubernatorial seat of the province in the May 2019 elections. 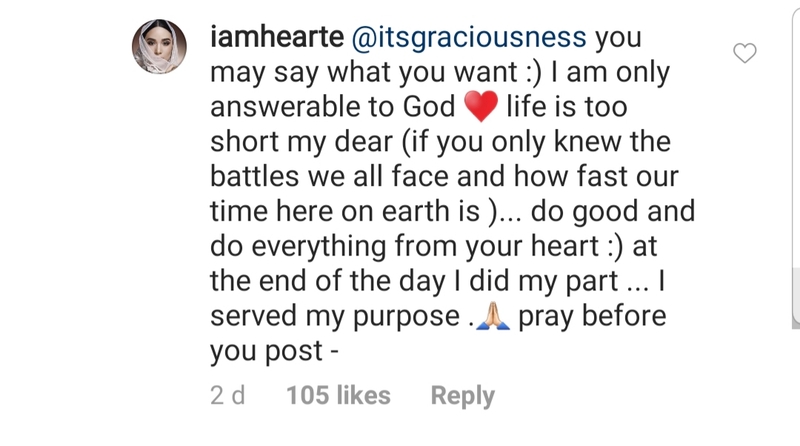 On Instagram, the supportive actress and artist shared some photos taken during her trip, and, unsurprisingly given their political nature, her posts received negative comments from some users. 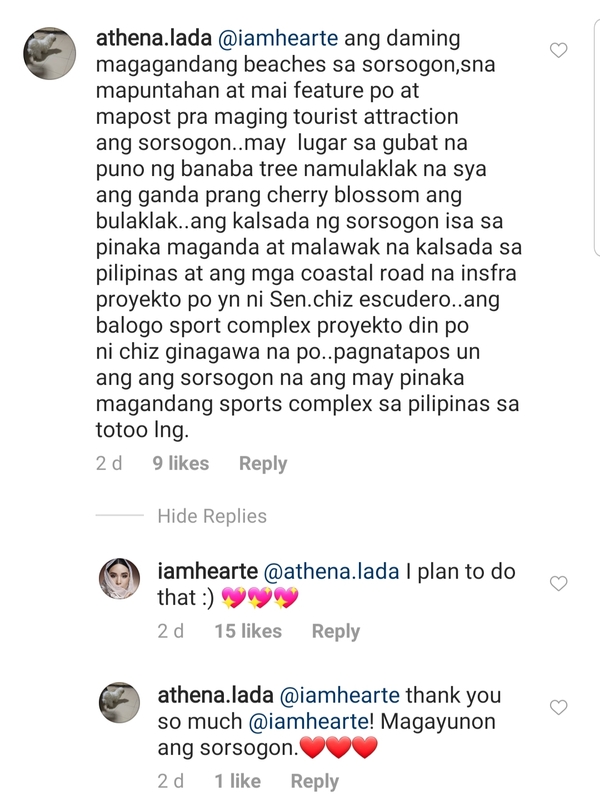 A user also told Heart to check out the beaches in the area and to post photos of them, so that Sorsogon can become a tourist attraction.